Want to stay in your own home, but need some extra support? We’ll work with you to put together a plan to help you maximise your independence. At Enliven, we know that maintaining independence as you get older can be a real challenge. We’re here to help you find the right support so you can remain in your own home, keep healthy, and stay connected with your friends, family and community. We will work with you to put together a plan that meets your needs and helps you reach your own goals. Then we make it happen with top-quality support from our caring and experienced staff. Support to get out and about? To help you stay active and connected with others, we offer a range of community day programmes, including conversation cafes, home share groups and pool programmes. Support for your family member? If you’re caring for a loved one with a disability, we can give you a short-term break through respite care. Personal support to stay in your home? 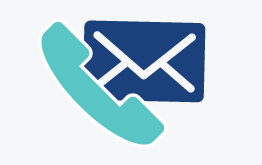 Whether you need short-term assistance or 24/7 support, we can help with personal care (things like helping you get up, showered and dressed) as well as household tasks such as cooking meals, shopping and cleaning. If you’ve been discharged from hospital and need extra help to get back on your feet at home, we can help with personal care, household tasks, meal preparation and shopping for the first four to six weeks. Need help moving back home after a rest home or hospital stay? We can support you to live confidently and independently in your own home again through our transition service. Betty had an Enliven support worker who helped her manage life on her own. 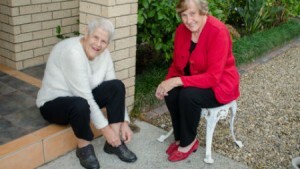 When Marlene took on a six-week walking challenge, she encouraged Betty to give it a go too by counting her steps every day. older people and those with disabilities and injuries..